I have put togheter this Top 20 Free Crochet Patterns of 2015 based on the most visited patterns on my blog according to Google Analytics. 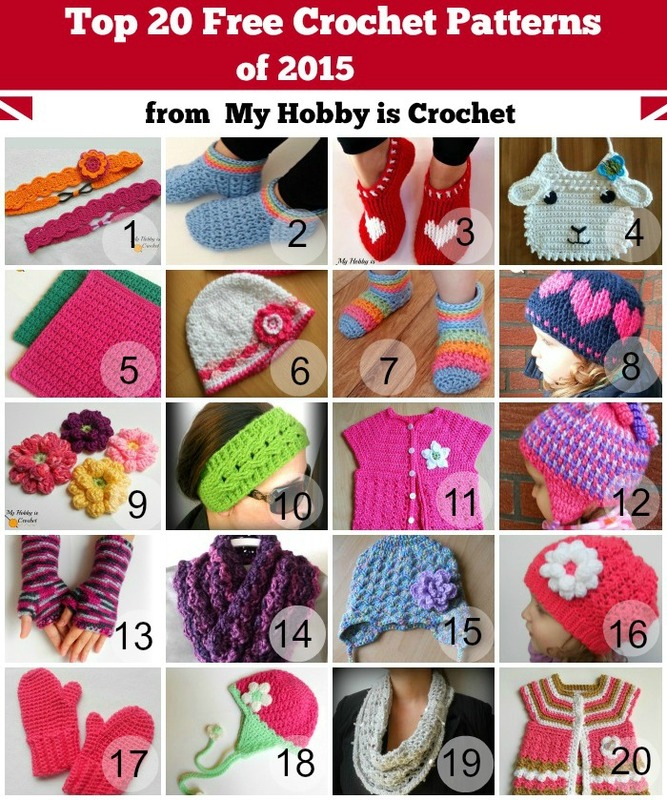 These are the most popular free crochet patterns of 2015 from My Hobby is Crochet! Check out the names of the patterns below. You can access the page with each free pattern by clicking on the title of the pattern. 1. The Thread Headband is my most popular pattern of 2015! Thank you for enjoying my patterns, for all your lovely comments, likes and shares! They are much appreciated. I wish you all a Happy New Year 2016!